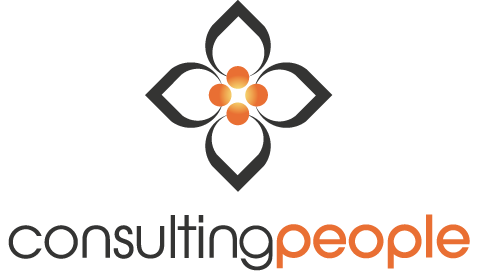 We are a niche consultancy with vast experience of transforming businesses through developing people. Founded in 1993 our mission is to support people in creating and leading inspiring, effective and profitable businesses and growing and learning through the challenges that work presents. To achieve success, we use our history of line management, performance improvement and project recovery, and our expertise in coaching, facilitation and consultation. Our practise is based on action research. Our learning from the thousands of people we have had the privilege of working with, together with our own life experiences, inform our approaches to Leadership, Strategy, Performance and Transformation – both business and personal. Mike is a recognised leader in strategy formulation and implementation. He has consulted and facilitated internationally across many industry sectors. Mike works in ways that make visible the hidden connections between causation and business results. This gift has led Mike to formulate the Business Transformation Cycle℠, which has proved invaluable in consulting to firms like Rolls Royce, BBC, PwC and Unipart. Mike has expertise in board evaluation and development that includes mentoring and coaching board members. He has designed behavioural assessment for major infrastructure programmes (AMP6) and consulted to the successful suppliers in evolving their team dynamic to deliver agreed results. The implementation of lean production, supply chain development and project recovery continue to drive his research and the refinement of his methodologies, which are based upon CPL’s Double Loop Learning. Mike’s research has generated strategies and tools for mitigating the latent risk of culture for which Mike was awarded Honorary Lifetime Membership of the Institute of Risk Management. Intrigued by the unique strengths each person holds and how they contribute to the effectiveness of teams, Gill has developed approaches that support people in evolving their strengths based upon Consulting People's Double Loop Learning. As a mentor and coach and facilitator of teams, peer learning groups and networks she has a talent for encouraging people to find ways to fulfil their potential leading to both personal and corporate rewards. Her work with Consulting People has contributed to the development of the Business Transformation Cycle℠ that has provided a sustainable change pathway for many firms. Gill’s conviction that women need to take their rightful place organisational life, led to her co-founding Consulting Women. She has collaborated in designing and delivering elements of the ICAEW’s Women in Leadership Programme, and is frequently invited to speak to on women’s leadership issues by organisations such as the IACCM and the University of Westminster. She also supports young people in schools in using their strengths to create their future. Moira Siddons FCA is a former partner at PWC and experienced NED of Regulatory Industries, including as chair of the audit committee . With Gill she is a co-founder of Consulting Women bringing strengths based leadership development to women, and is a coach and mentor to directors and senior managers. Moira is an accredited Double Loop Learning practitioner. Mark David (IACCM, CIPS) is a globally respected leader in the field of Commercial Management. Working internationally, leading diverse teams, Mark has spearheaded major organisational re-design and refresh, scoping functions into coherent, consistent professional organisations winning recognition for world leading capability leveraging his Double Loop Learning with Consulting People. Anne Baker is an experienced OD and transitional change practitioner (fellow of the FCIPD) with over twenty years of experience working with Consulting People. Anne's experience has been gained supporting organisations, focussing on stakeholder management, design and implementation of business critical solutions which meet clients commercial objectives. Emma Hiwaizi has a background in publishing, founding the Green Guide for London and Juno Magazine. Emma also publishes Consulting People's Double Loop Leadership newsletter. Emma holds a degree in anthropology from Cambridge, and has studied NLP in addition to being a Double Loop Learning practitioner. Emma is now a a qualified laughter yogi and runs regular stress-busting laughter workshops. Chris Kane provides strategic advice on the smart use of the workplace and smart place making that unlocks value for organisations. Chris advises on making best use of 21st Century Workplaces and how the changing nature of work will impact the use of spaces and places. Over the last decade Chris served as BBC Head of Corporate Real Estate and latterly as CEO of BBC Commercial Projects and is an alumni of DLL . Isobel Vernon-Avery has expertise in social media and web use. Additionally, she supports people in knowing and using their strengths through group and individual reviews. She is reading geography at University College London and has a particular interest in our human response to climate and other geographical change. Consulting People's sister organisation, Consulting Women, was created to support women to grow their confidence and competence as leaders. Founded in 2002 by Gill Avery and Moira Siddons, Consulting Women offers open leadership programmes (the Next Level), bespoke strengths-based leadership and team development, individual coaching and mentoring. Consulting Women has contributed to the design and delivery of the the Institute of Chartered Accountants (ICAEW) flagship Women in Leadership programme and to the University of Westminster’s Women for the Board programme. The Professional Construction Strategies Group delivers services internationally to help ensure the sustainability of clients’ businesses in all respects – financial, social and environmental. Within the group, ECS is at the leading edge of digital data strategies in the construction sector including BIM, business systems and IP solutions. PCS specialises in providing bid management and related services to the construction sector, facilities management and rail franchise companies and Earth to Ocean (E2O) specialises in providing wide ranging services which enhance clients’ environmental and sustainibility outcomes. In2Search is an executive search partner to international business leaders and organisation development professionals in industry. In2Search believe that the most important action a business leader can take is to get the best people into his or her team. Exposure over the years to Consulting People and Double Loop Learning has helped In2Search in the creative act of finding and attracting exceptional people, and in identifying those qualities in candidates that will enable them to transform the businesses they join.